Opening times Mon–Sat 10am–6pm. Closed Sun. The Sulwath microbrewery is one of Scotland’s most longstanding, operating since 1995. That’s given them time to craft a crowd-pleasing range of eight permanent ales, from IPA to stout to wheat beer, and three seasonals (special mention to the dark and spicy Reinbeer). The brewery, tucked down a close off Castle Douglas' high street, has a pub on-site with seven beers on tap. 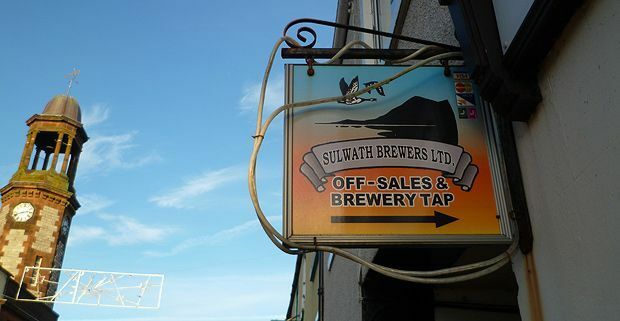 Sulwath host brewery tours on Mondays and Fridays at 1pm, or by prior arrangement, and hold an annual spring beer festival – see their Facebook page for details. Criffel (IPA), Knockendoch (Heavy), Galloway Gold (Lager), Cuil Hill (Best Bitter), The Black Galloway (Porter) Farmers' market stall: Drumlanrig Castle, Moffat, Lockerbie, SECC, various others. Looking for events in Castle Douglas?